Association "Children with Oncohematologic Diseases" is a parent organization, supported children with cancer and their families. Created in 2010 by parents, relatives, and followers and is registered under Bulgarian legislation as an NGO for public benefit activity under No. 201012222006. It has license to provide social services for children. Association is a member of Childhood Cancer International (CCI) - the largest patient support organization for childhood cancer. It is a global, parent-driven non-profit that represents 181 parent organizations, childhood cancer survivor associations, childhood cancer support groups, and cancer societies, in 90 countries, across 5 continents. Because no child nor family should face cancer alone! As a parents, relatives and followers knowing severe effects of childhood cancer, we have recognized as our mission to defend the rights of children with cancer, to support them in their fight, to help them and their families overcome the emotional and psychological consequences of the disease and to facilitate their social adaptation after treatment. We created Association "Children with Oncohematological Diseases" with lots of maternal love and we put our hearts on a daily basis to fight the severe consequences caused by disease to children and their families. We work actively in all directions concerning the treatment, recovery and re-socialization of the little heroes. After all that we have achieved over the past few years, we believe that our support and support of all followers, sponsors and donors, every single day will be better for children with cancer and their families. Provide information and rise the awareness of the society for childhood cancer the problems due to the disease and how to solve the them. Provide information to families about problems related to diagnosis and how to cope, social issues and their rights. Provide access to quality education during treatment. Provide therapeutic and psychological help relevant to their age and need during active treatment, maintenance therapy and after that. In our Daily Centre "Golden Ribbon" nearby the hospital ward in Sofia little heroes and their parents are welcome to find friends and receive support from our specialists to manage to cope with cancer and its late effects. 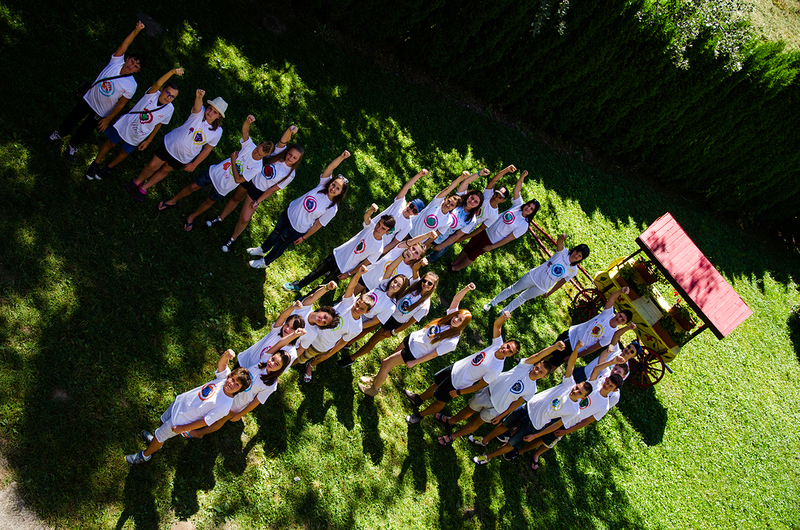 Every year we organize summer camps for children adolescent who are on maintenance therapy and survivors. The siblings are also welcome because they need a special support, too. Support the survivors in building their self-esteem, confidence and in discovering opportunities for personal and career development. WHAT DO CHILDREN WITH CANCER AND THEIR FAMILIES FACE? Every year between 150 and 200 children aged 0 - 18 are diagnosed with cancer in Bulgaria. The diagnosis comes suddenly, the treatment is long - between 6 month to 3 years and in some cases all life long. It is done with high doses of toxic drugs, aggressive radiotherapy, invasive surgeries which some times require amputation of limbs, body organs and lead to some severe late effects. In some cases marrow transplantation is needed which lead its risks and side and late effects. Because of many serious manipulation, children must live every day in pain and discomfort which are reaching the limits of human tolerance. Their appearance changes unrecognizable, it happens to loose friend in the hospital, and severe diagnosis and thoughts about death is often there. the treatment put them in condition of immune deficit and every viral infection could be fatal. This is the reason for social isolation for a certain period of time. They live in isolation, cannot attend school, do sports, other activities, courses, and meet with peers. This puts them at risk of dropping out of school, unable to gain competitive knowledge, competencies, and social experience after disease. During active treatment and maintenance therapy often one of the parents should leave work which cause financial difficulties for the whole family. family members must live separated for a long time because childhood cancer is treated only in three clinics in Bulgaria - in Sofia, Plovdiv, and Varna. Living without one of the parents, most often the mother, siblings are in unpleasant situation, actually they are at risk, too. They fall apart in family situation and also bring their fears for the sick sibling and may develop psychological trauma. Childhood cancer is considered as a “miracle” by health circles. Between 65% - 85% of childhood cancer is now curable with modern therapy. Overall, this is an impressive increase since the mid-1970s, when the 5- year survival rate was under 50%. Still, survival rates vary depending on the type of cancer and factors such as the status of a country’s health system infrastructure, medical culture and socioeconomic conditions. Unfortunately consequences from the disease itself and from therapy often are connected with psychological trauma, late effects, and other discomfort. As the survivor rate in developed countries has risen over the past 30 years, a new challenge has emerged for medical professionals to study, surveillance, manage, and cope with the late effects that the cancer itself and/or the treatment can cause. Recent studies have shown that late effects sometimes occur many years after treatment is over. The social and educational system as well as society are also responsible for the successful reintegration of children and adolescents survivors to their life routine.